Yet another table that we couldn’t get near, Pocketwatch and their game Monaco were pretty well mobbed, whenever we stopped by, such that I didn’t really get a chance to go hands on with this title, but as we chatted with the devs, I got to stare longingly for a while. It was almost as good. … Almost. Task: Whisper “WHAT’S YOURS IS MINE” to a complete stranger. Oh, I did it. And thanks to the prodding from my dear friend and fellow BrainLazy contributor Oriech, I was told to whisper it to a cute girl who was minding her own business, not paying attention. Nothin’ creepy or traumatizing about that, no sirree! AN: Monaco is thematically based off stylized heist movies, where a group of specialized thieves work together for some high stakes robbery, much like Ocean’s Eleven. 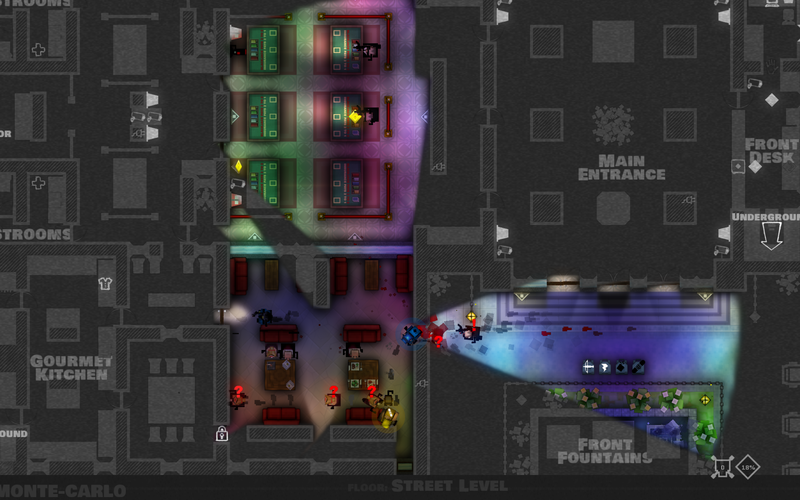 Monaco’s gameplay is an amalgamation of arcade classics like Pac-man and Gauntlet, as well as modern stealth games like Hitman or Metal Gear Solid. Pac-man can be thought of as one of the first stealth games. 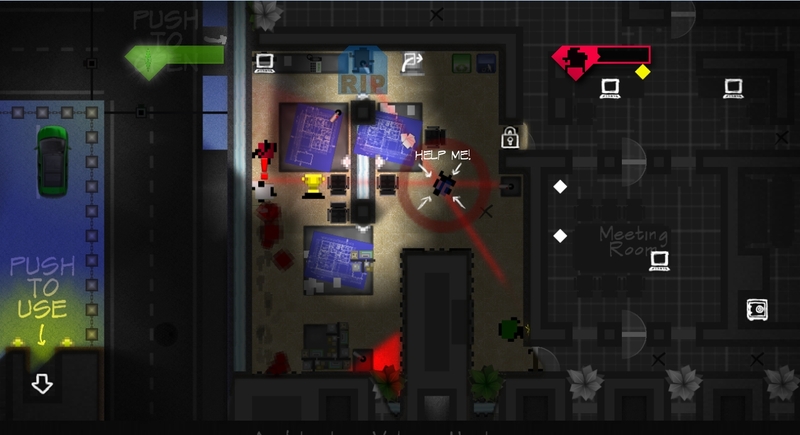 You remain hidden, steal items, and avoid enemies at all costs. Combat is discouraged, but a few opportunities let you suddenly become the hunter. In Monaco, the gear you carry is a very limited resource, but let’s you do things like blow up walls, knock out guards, or disable cameras and turrets. Like Gauntlet, Monaco is a top-down, class based game. Each of the 8 classes in Monaco has special unique abilities. The Hacker specializes in creating viruses and disabling security cameras. The Gentleman, when hidden, will disguise into a civilian, fooling guards until the disguise wears off. BL: Does the game differ greatly from the original concept? AN: Monaco originally played like Pac-man in that the controls were minimal. 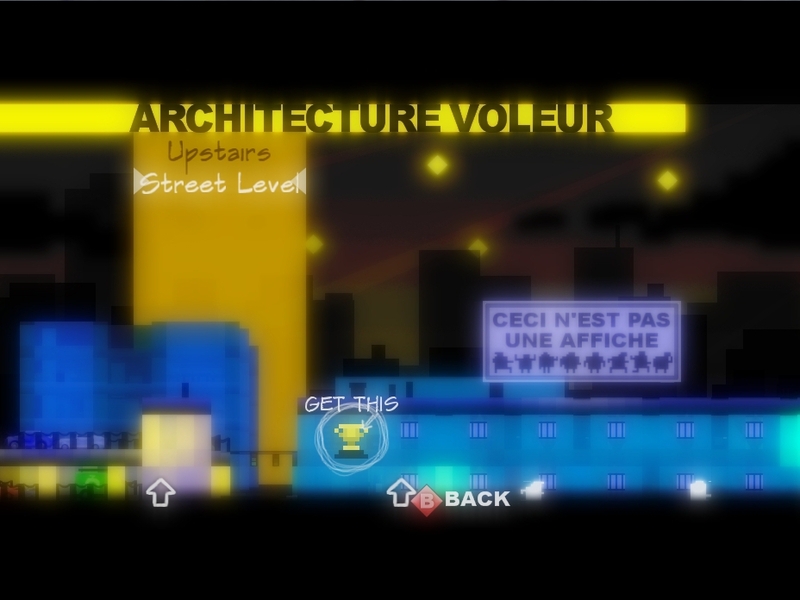 The IGF winning version had no buttons and gameplay was entirely movement based. Interacting with objects was simple as walking into them. 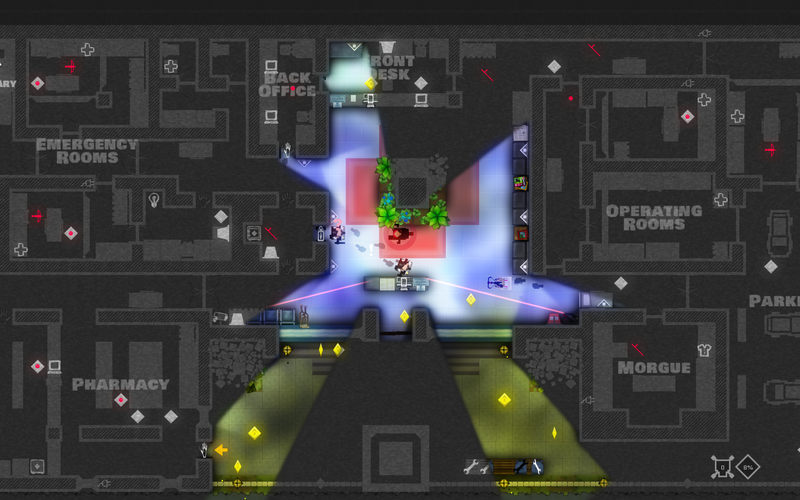 Secondly, the IGF build played like a real-time rogue-like with tile based line of sight mechanics. 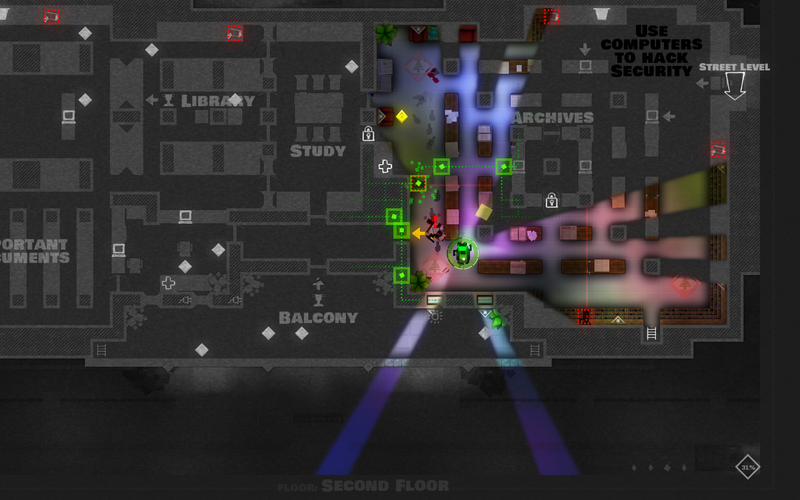 Monaco still contains those themes of simplistic controls and real-time visibility. What inspired the change and how did it evolve? AN: Major changes were the addition of more content to make it a beefier game. We improved the graphic, gameplay, and audio. 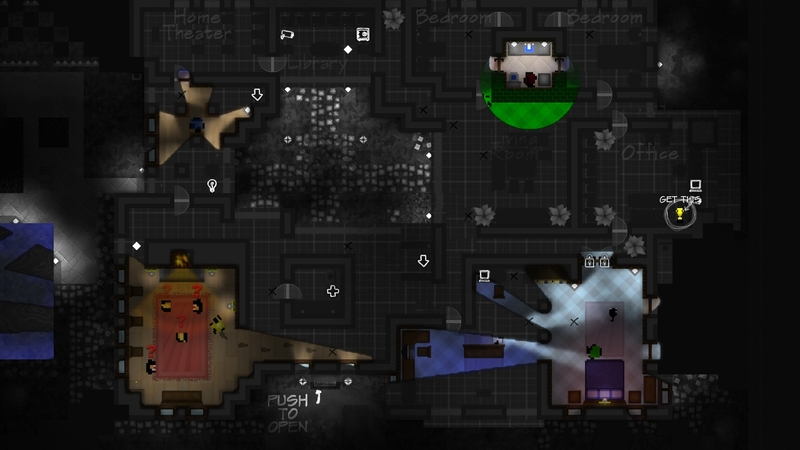 The real-time visibility is now based on vectors instead of tiles. We also added a single button. The gear you equip has scarce ammo, so you must use it strategically, much like the bombs in Geometry Wars. Why did you choose your current direction? 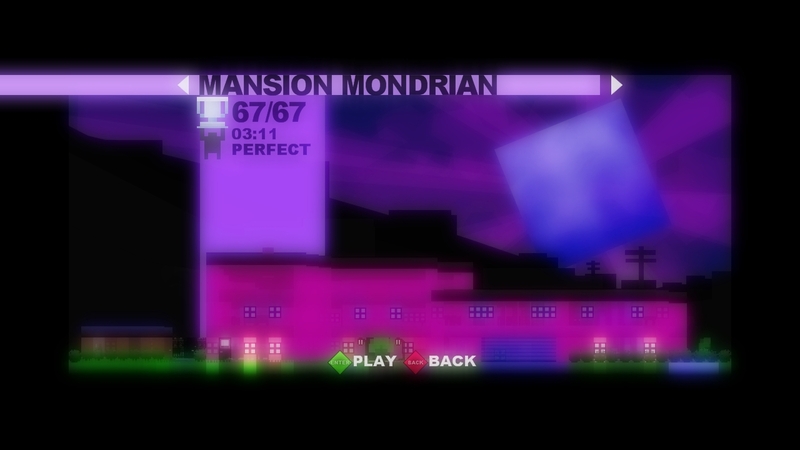 AN: The IGF version of Monaco was intended to be a small XBLIG game. 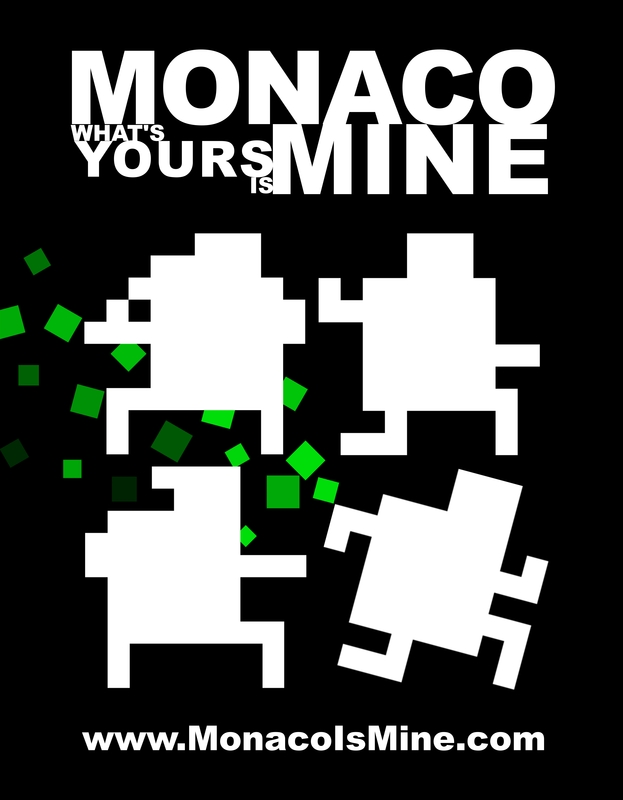 After the IGF, expectations rose and suddenly Monaco needed to be more than a 2 month project. Since then, Monaco has seen significant improvements to its art, music, and mechanics. If it weren’t for the IGF, Monaco wouldn’t be where it is today. AN: We haven’t prototyped any games since production of Monaco began. We did prototype gameplay features that never made it. One of the first designs for the Gentleman was the ability to hypnotize guards. You could grab a guard and send him off to nowhere land. The design was ultimately cut because hypnosis left the Gentleman immobile, and standing still too long can get you killed. Another class we prototyped was the Prowler. The Prowler could jump over tables, chairs, and other low objects. This design gave her a frantically fun pace, but also resulted in a myriad of problems. For example, if she died on a table, no one would be able to revive her, since no other character could jump onto the table to revive her. AN: Indie development offers creative freedom. Without large publishers or investors, we can create the game we want to play. When designing games for another audience, we lose a lot of creative input that makes us enjoy what we do. It also helps that many indies are a blast to meet and hang out with. The indie community has become a family of friends which I enjoy very much. AN: It’s difficult to imagine working for a big publisher. With only a finite amount of time left in my life, I don’t want to regret not making the games I wanted to make. I love playing AAA games personally, but right now I’m in love with making smaller titles. There you have it, another day, another Indie Megabooth look back. Come on back on friday to see the next installment, and if you’ve got a hankering for more Monaco info, check out http://www.pocketwatchgames.com/Monaco. See you next time! It appears the heist may not be going according to plan.